I often write about how quickly technology has changed and how difficult it can be for lawyers to keep up. It’s tough enough to keep abreast of changes in your practice area, let alone staying on top of the latest technology advancements. 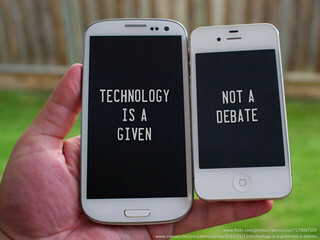 This is particularly true since technology has changed so rapidly in the past decade. In just the past few years social media, mobile and cloud computing have drastically changed the way that we interact, communicate and work. In just a decade, our world was shaped and revamped by technology. This, after much slower growth in the prior century. How much slower? We thought that was an interesting question and wanted to find out. That’s why we created the “10 Technologies That Have Changed the Practice of Law” infographic below, inspired by this post from Bob Ambrogi’s blog, Lawsites. Our goal was to visualize the top 10 technologies that have changed the practice of law. Check it out and let us know what you think. And feel free to share this legal infographic on your blog using the embed code found here. 1867 — Typewriters: Mechanized the writing process and greatly increased transcription speed. The first standard typewriter weighed 15 – 25 lbs. 1960 — Copiers: eliminated carbon copies, saving time and reducing printing costs. The xerox 914 model weighed 650-pounds. 1964 — Facsimile Machines: Increased communication speed and reduced mailing costs substantially. In 1960, it took 6 minutes to fax one sheet of paper. 1980 — Word Processing: Made typewriters obsolete and greatly decreased the time needed to create and revise documents, saving time and money. WordPerfect was first released in 1980. 1983 — Computerized Legal Research: Increased research speed and efficiency while eliminating the need to maintain costly law libraries. Both Lexis and Westlaw became accessible via PCs in 1983. 1986 — Laptops: Lawyers were no longer chained to their desks and could work from anywhere. The first IBM laptop weighed 12lbs., cost $1,995 and had 256K Random Access Memory. Mid 1990’s — Internet: Revolutionized communication, interaction, and the way that business was conducted. It took the radio 38 years, the television 13 years and the World Wide Web 4 years to reach 50 million users. 1999, 2007 — Mobile Revolution: Smartphones and tablets made a truly mobile office possible, allowing lawyers to access case-related information from anywhere at anytime. Blackberry got its name from the keypad which looked like the seeds of a fruit. In 2007, all advertisements for the first smartphone, the iPhone, showed a time of 9:42. 2006 — Cloud Computing Revolution: Cloud computing greatly increased computing power and efficiency while reducing computing costs, making the mobile revolution possible and leveling the playing field, allowing solo and small law firms to compete with larger firms in ways never before seen. Amazon EC2, a service that provides resizable computing capacity in the cloud, was released in beta in 2006.